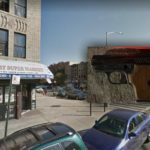 A 14-year-old boy was arrested by officers from the 71st Precinct after he allegedly fired a gun outside a Crown Heights fast food restaurant. 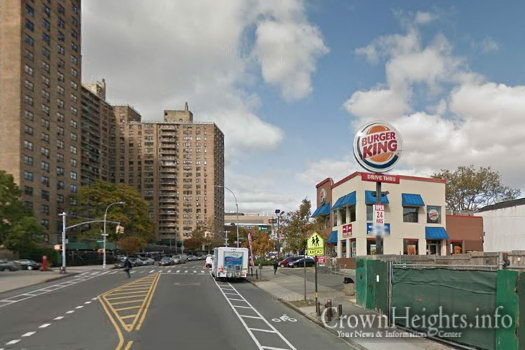 The incident occurred outside Burger King, located on Bedford Avenue between Empire Blvd. and Sullivan Place. Police found five spent shells and one full round outside the restaurant after the shooting. The suspect has not been named by police due to his age. 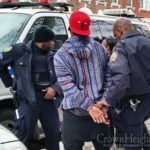 He will be charged as a juvenile, police said. Our failing mayor “D”-blah-sio is so proud that 16 and 17 year olds will no longer be tried as adults. So now a 14 yr old punk who shot 5 times and could have killed 5 people gets treated as a juvenile, and is sent home to mama, because I’m sure there’s no live-in Papa. Who will protect this child from gangs and a lifetime of crime? There are juvenile detention schools in the US, run military style, where troubled kids need to earn every reward, can’t even call Mom and Pop till they earn enough merit points. After a year these kids are totally reformed, polite, educated, with a vision for living a meaningful Wilson life. We have however taken that chance away from this 14 year old. He will still be in contact with the scum who gave him the loaded gun. He will not learn anything from his”mistake” and will go on to make more of them. Shame on us for electing Leaders whose main concern is to rewrite the laws to protect the guilt so crime stats fall. No matter the price. If the link doesn’t work Google reform n boarding school. There is a branch of TD Bank a few doors away. Many in our community bank there. Wow! Who needs to wait for national reciprocity when you already have 14-year-old’s walking around NYC fully strapped………. Do police have possession of the firearm? Did police trace who the firearm is registered to? Is the firearms owner being charged with a crime? How did the firearm come into the possession of the 14-year-old in the first place? I see the tough NYC gun laws work well to keep guns out of bad hands. It’s a pity the law abiding citizens cannot keep up with the criminals and children. NY is fearful of all the lawful concealed carry gun owners that may be able to be in NY if the law changes that any state carry license works for the whole country. I guess they are fine at home but will catch the NY germ causing minds to become criminal and they will suddenly shoot anybody near them.